The Hurricane Watch Net has tentative plans to activate for Hurricane Matthew on Saturday, October 1, 2016 @ 5:00 PM EDT – 2100 UTC on our primary net frequency of 14.325 MHz. Once activated, the net will remain in continuous operation until further notice. We plan to operate 14.325 MHz by day and 7.268 MHz by night. If propagation dictates, we will operate both frequencies at the same time. Should there be any change to this plan, we will announce on our website (www.hwn.org), numerous HF nets, as well as the amateur radio media. Please listen closely before transmitting on or adjacent to these frequencies. If the net is active, please QSY unless you have traffic for the net. 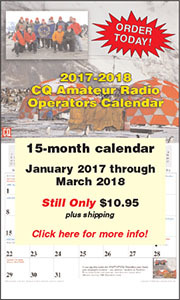 The 2017-2018 CQ Amateur Radio Calendars have arrived! If you've already ordered, thank you for your order! Your calendar will be arriving soon! If you haven't ordered yet, click on the link below and order yours today! We've kept the price at only $10.95 plus shipping (USA $3; CN/MX $5; all other countries $10). Order a 5-year subscription to CQ (print or digital in the US; digital only elsewhere) - at a special price - and get the calendar for FREE! Details are at the bottom of the calendar ordering page above! H.R. 1301, the so-called Amateur Radio Parity Act, which would guarantee hams living in deed-restricted developments the right to "effective outdoor … antennas," was passed by the House of Representatives on September 12 by a voice vote. 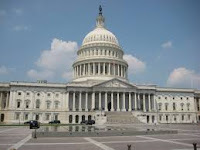 At press time, the bill was still awaiting action in the Senate and the ARRL was urging all amateurs to contact their senators in support of the legislation. The FCC has proposed fining a New York City man $23,000 for unlicensed operation on amateur radio frequencies and transmitting a false distress call over a New York Police Department (NYPD) frequency. According to the ARRL Letter, the FCC issued a Notice of Apparent Liability at the end of August to Daniel Delise of Astoria, New York. 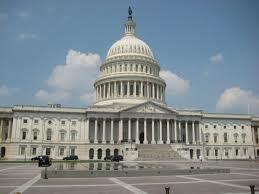 Delise has been under FCC scrutiny for four years. The subject of multiple complaints that the FCC had not been able to verify, Delise was confronted by FCC field agents at his home last April, while transmitting on the 2-meter band, according to the ARRL. He admitted making the transmissions and was cited for unlicensed operation. Within a few weeks, the NYPD arrested Delise for making a false officer-in-distress call on one of its radio channels and for possessing radios capable of operating on police frequencies, which is against state law (licensed amateurs are exempted). The FCC may have trouble collecting the fine … the ARRL Letter reports that Delise pled guilty to the state charges against him and is now in prison. 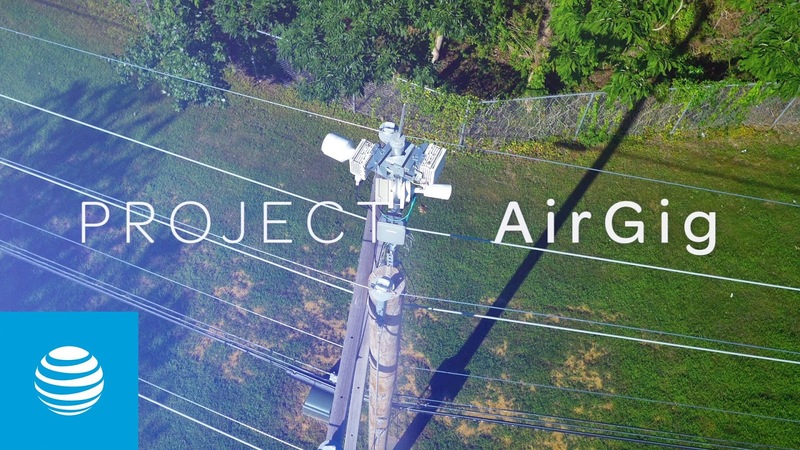 Recent news stories about AT&T's new "AirGig" service that promises to deliver broadband wireless by using power lines have many hams concerned that this is another attempt at implementing Broadband over Power Lines, or BPL, which caused significant interference on ham bands before failing economically a decade or more ago. But the ARRL says there's no cause for worry. 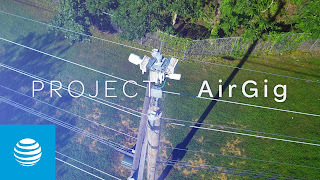 According to a report in the ARRL Letter, the new system currently under test uses the surface of power lines to transmit millimeter-wave RF signals at frequencies between 30 and 300 GHz. The League does not expect to encounter interference problems, even among hams active on amateur allocations in that range. "The sky is not falling," says ARRL Lab Manager and BPL expert Ed Hare, W1RFI.